1646 - Construction began on the Carmelite convent, through a petition by King Phillip IV of Spain. July 1651 - The convent was inaugurated as the Monastery of Our Lady Carmen of San José -- and was situated across the street from San Juan Cathedral, the Western Hemisphere's oldest cathedral. Dec. 9, 1903 - The convent was closed by the Archbishop of San Juan. 1959 - Under the auspices of Operation Bootstrap, Robert Frederic Woolworth - heir to the Woolworth fortune - began converting the convent into the El Convento Hotel. Jan. 27, 1962 - El Convento Hotel opened. 1990s and 2000s - The property was renovated again and rechristened Hotel El Convento. 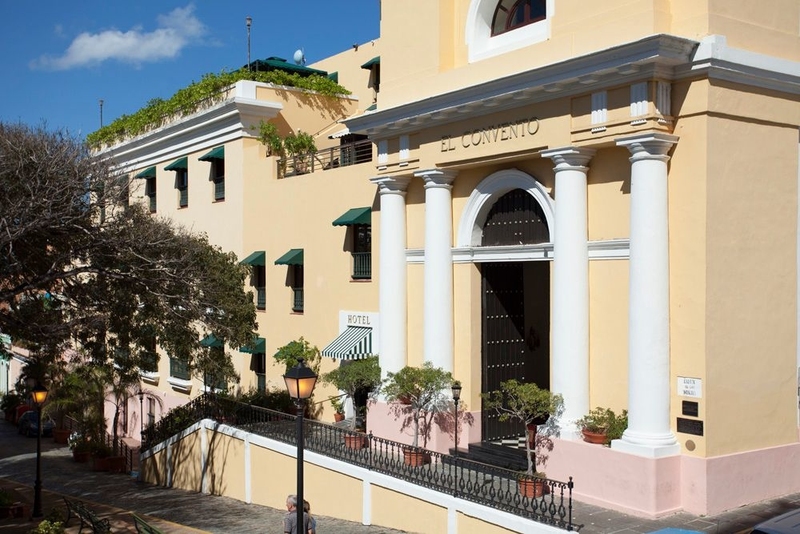 Celebrate more than 360 years of tradition at our luxury old San Juan hotel in Puerto Rico. As the first Carmelite Convent in the Americas, it housed the nuns for 252 years until closing a few days before Christmas in 1903. Vacant for a decade, the abandoned building served as a retail store, a dance hall, and, for the next 40 years, a flophouse without running water, sanitary facilities, or electricity.